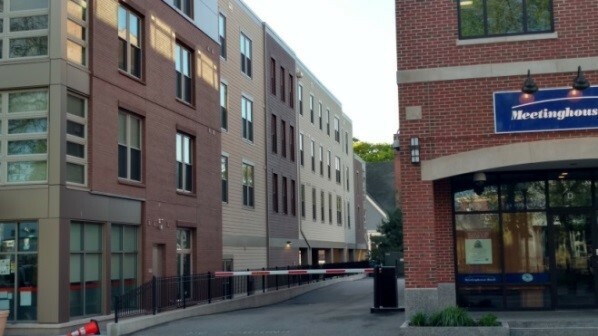 I write on behalf of WalkUP Roslindale to comment on the referenced residential project (the “Project”). WalkUP Roslindale, which takes its name from the international movement to foster “Walkable Urban Places,” is a collaborative group of residents informally gathered to make Roslindale the most walkable neighborhood in Boston. 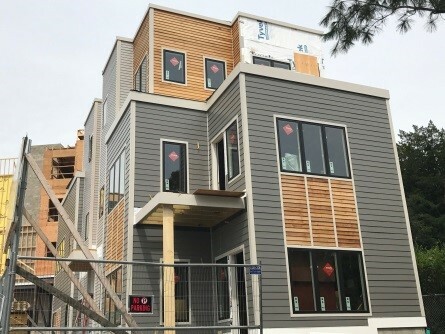 We advocate for a dynamic, livable streetscape and we support positive changes to our public and private built environment that strengthen walkability and other forms of active mobility such as cycling as means toward better personal and public health, safety, social capital, economic development, and environmental sustainability. We are led by a steering group of twenty residents and have over 400 additional supporters. 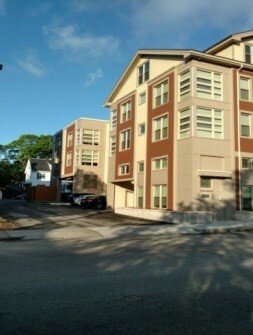 More information about WalkUP Roslindale and our initiatives can be found at www.walkuproslindale.org. We recognize that no single group of people can be said to speak for our entire neighborhood – instead, please take these comments as representing the collective, specific viewpoint of our steering group members (indicated below) and offering what we see as the analysis that results from our mission and principles. 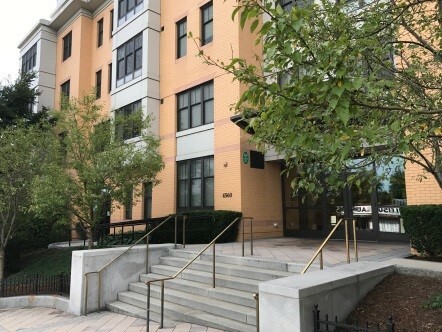 The Project as recently approved by the Boston Board of Appeal (the “Board”) is for 12 residential units in a 4-story building with 12 accessory vehicle parking spaces, bicycle parking, and a lobby located on the ground floor and 4 units located on each of the 3 floors above. 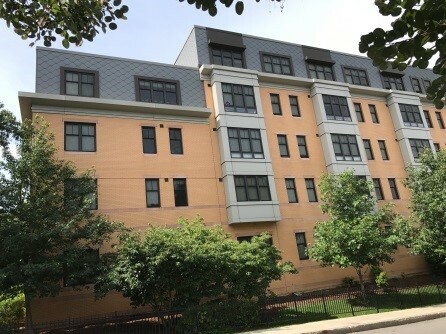 We understand that the Project obtained variances from the building height and off-street parking space standards applicable to the NS neighborhood shopping subdistrict zoning under the Roslindale Neighborhood District of the Boston Zoning Code and that the plans approved by the Board were the same as those shown to the community at a public meeting in May. We further understand that the Board granted zoning relief subject to design review by the Boston Planning & Development Agency (the “BPDA”). In concept, the Proposed Project fits well within WalkUP Roslindale’s principles. 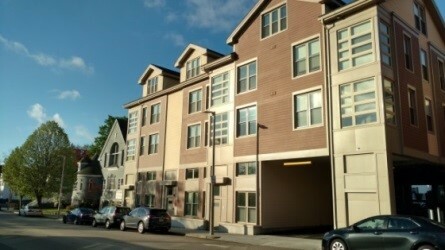 The location is directly in Roslindale Square, and thus walkable to its services, restaurants, shops, and transit options (both MBTA commuter rail and bus service), providing both a benefit to the new residents who will occupy these units and a new base of customers for businesses in the neighborhood, which benefits all Roslindale residents. 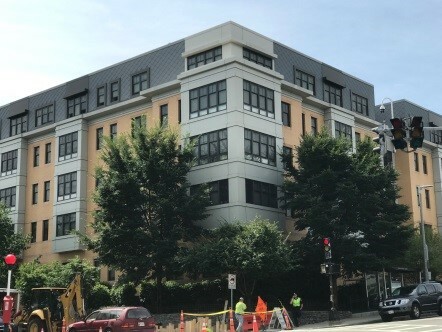 However, the exterior design is lacking, especially on the Washington Street frontage, at least as conveyed in the single rendering provided with the Project plans. The elevation for this frontage appears more detailed and articulated than the rendering, so at a minimum, clarification is needed. We are also concerned about the close proximity of the garage entrance/exit to the sidewalk and would strongly recommend that a flashing/sounding sign by placed there to warn pedestrians that vehicles are exiting the garage. In addition to these examples, we would also like to highlight the design elements in the enclosed plans for a new building at 65 Green Street in Jamaica Plain, which shows images of the evolution of that design – the final image being the project as approved. 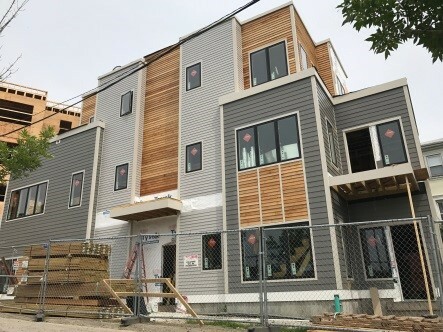 We believe all of these designs are better detailed and thought-through than the Proposed Project and WalkUP Roslindale asserts in the strongest possible terms that our neighborhood deserves a design for the Proposed Project at least as good as those projects.